Ivan Lin, the acoustic engineer, is back on the stand. Nel points out to him that the last sentence of his report states that the process that he followed excludes the possibility of a 100% reproduction of the original sound source and the perception of the sound from the listener’s perspective. He used a model and used averages to convey his findings. Nel wants to know when he completed this report and Lin responds that he just completed it the week prior. Nel wants to know what materials were used for him to create the scenarios in his report. 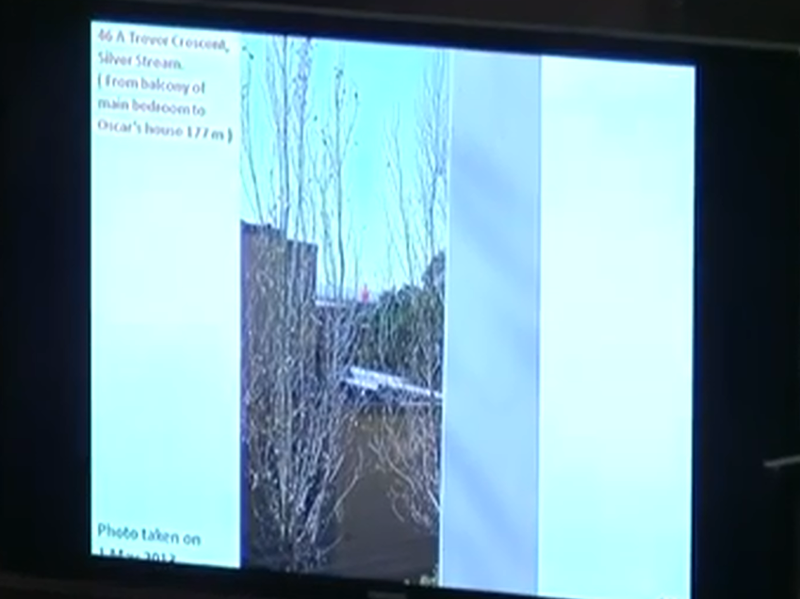 He says the three possible sound sources were in the toilet, in the bathroom and on the balcony. He studied the actual location of the listeners’ positions, and where their window and door locations were. Nel asks him if he read the record, and Lin responds no. Nel asks him if he understands that there has been a lot of new development since the time of the incident. He is aware of that. He could visually see the changes. He did have assistance from the Defense team while he was there. The Defense provided the scenarios to him. Nel wants to know if it was ever put to him that at the site that was 177 meters away, the bedroom window was closed. Lin answers, no. Nel asks, nobody told you that the window was wide open? Lin answers, that information was not available to him. He also did not have access to the premises at 177 meters; he only viewed a photograph of it. Nel is making the point to the court that it was not a complete investigation and he only used the scenarios that were put to him by the Defense. He is making findings and assumptions based off of the version that they want to tell. And all of this was done within the last two weeks prior to court. Nel puts to him, that if the window at the source which is 177 meters away was open, we can exclude all the portions of his model where he listed the window as closed. He agrees that yes they could do that if the window was indeed open. Nel wants to know, even though his report states that one can ever say with 100% certainty whether a voice is male or female based on just hearing it, would he concede that more often than not, we are able to differentiate them. Lin says its all perception and perception can’t be completely reliable. 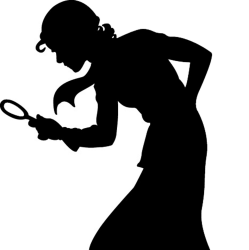 He does concede though that it is common sense that we can identify them, just not scientific certainty. Nel moves on and says that from his report, paragraph 5.9, Lin has identified that the typical human scream is 100-120db. On the State’s version, the deceased screamed because she feared for her life. Nel wants to know, in considering that; wouldn’t he put the db closer to 120 than 110? Lin says that 120db is extremely loud, almost the same as a jet engine taking off. Lin says that it’s a very slight possibility, but it is a possibility. It’s hard for him to say yes or no, just that it’s possible. Increasing the decibels would affect the charts that are included in his report. We do not see the charts shown in court, but Nel is opening up the possibility for the Judge to consider that things were heard beyond what he has written in his report, especially when you keep in mind that he only based his report on variables that the Defense gave him. Nel moves on to the sound of the gun being fired. An average db level of a gun being fired is somewhere around 160, according to Nel. Lin can’t say for sure but he will accept that it is significantly higher than the db of the human voice. Nel asks, if there is hypothetically a 20% difference in db between the sound of a human voice and a gun firing, wouldn’t the listener hear those sounds at a 20% difference as well? Lin agrees. Nel asks, if a woman screams, will there be a certain pitch in her voice? He answers yes; it does have a certain tonal character. Nel also asks, if a normal background noise is taking place, and then you hear sounds of a woman or man screaming, would the screams be more noticeable because they have a different type of tonal character. Lin agrees, yes. Nel next references the South African National Standard – The Measurement and Rating of Environmental Noise with Respect to Annoyance and Speech Communication, and says in terms of this standard and dealing with tonal character (voices), you should add 5db. Lin says this is based on continuous noise source and he’s not certain that it’s applicable in this context. He says that typically this is applied to things like a loud machine or loud disco and it’s occurring over a certain amount of time, it’s not necessarily something with tonal character like a voice. A voice is an impulse noise that you cannot average over time. He doesn’t agree with Nel on this point that 5db should be added. Nel says, but this is the standard so in following it, you should have added 5db in your report. It would have made a significant difference in his graph if he had applied it. 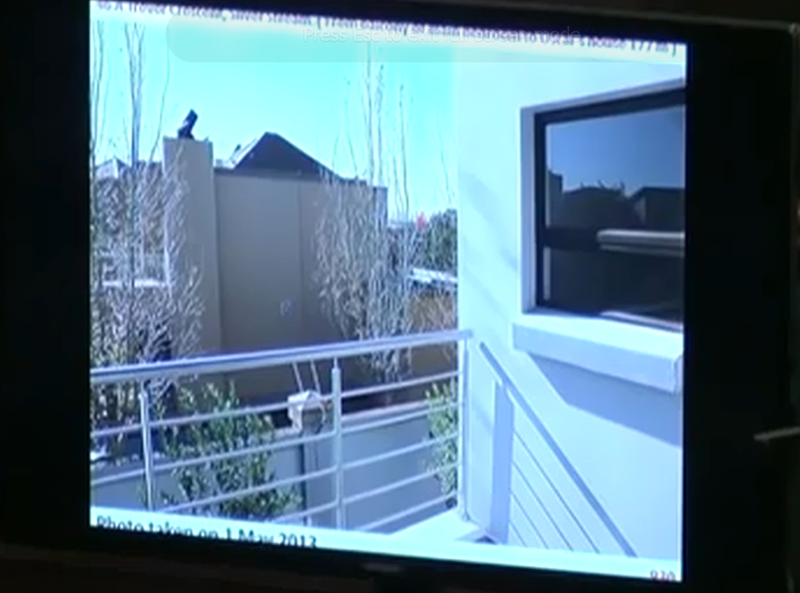 Nel illustrates that there is direct line of sight through the open balcony door to the back of Oscar’s house. Nel points out that in Lin’s report, the db levels that were used were the same as you would use for a solid window that is sealed. Again, he is pointing out the fact that you cannot fully rely on the db levels that he has chosen to use for this report as they do not accurately depict the exact variables of that evening. Nel proceeds to go through the report and from each vantage point, create some doubt about the levels that were used to make findings. And Lin concedes that his levels are not exact. The Judge will have to keep that in mind when considering his report. Nel wraps up by stating to Lin that four state witnesses all testified that they heard screams, not cries, from a woman. That must be reliable, correct? Lin asks from what distance. Nel says two from 80 meters away and two from 177 meters away. They don’t know each other, nor have they spoken to each other. Lin says he believes that they heard a sound but it’s not up to him to interpret if what they heard was correct. Nel says, but they did hear it. Lin will not make a comment about whether he thinks they were right or not. Nel next looks at a page from Lin’s report and addresses the source at 80 meters away. He says that if the source of the sound was in the toilet and the listener was standing on the balcony, the sound would be audible and intelligible. With intelligible he does not exclude the capability to distinguish between male and female voices. Lin explains that intelligible means that it describes the level at which something can be understood but it involves human interpretation. So it brings us back to four witnesses using their interpretation that what they heard that night were female screams and then both a male and female voice shouting at the same time. If the Judge finds these witnesses credible, there is no reason for her to not believe that what they interpreted was accurate, especially considering that all of their accounts match. 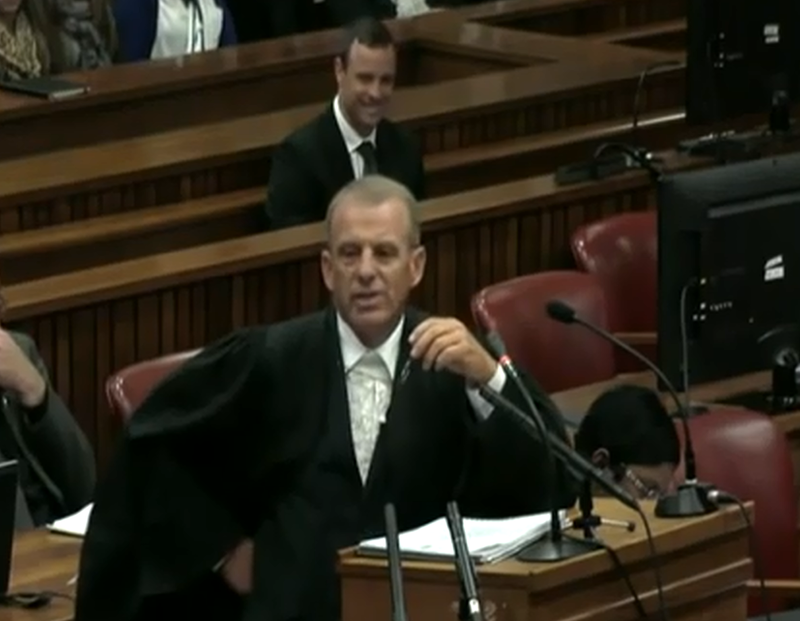 Nel gets Lin to concede that the ranges in his report are what is possible from a scientific perspective, but do not rule out all other possibilities, and with that he nor anybody else can tell the court that the witnesses were lying or are wrong about what they heard. Nel concludes and Roux does a very brief re-examination to point out to the court that the new homes that were built in the community do not affect the calculations that Lin used for his findings. The next witness is Peet Van Zyl. Van Zyl is Oscar’s manager/agent, also known as an athlete representative. He met him in 2004, and they have worked together since 2006. Their business relationship entails him securing competitions, negotiating and acquiring sponsorships and managing financial affairs. They had daily contact while he was fulfilling this role. Through all of the interaction that he has had with Oscar over the years, it was evident to him that Oscar had a heightened sense of awareness. He would often drive excessively fast to the airport because he wanted to make sure that they weren’t followed. Whenever he had to park somewhere public, he always parked in an open space with easy access and good lighting. He did this as an extra security measure. Roux also has him recount a few specific times where Oscar reacted in a panicky manor. In 2011, they were at an event in New York. While walking down the street there was a loud bang noise which scared Oscar and in response, he grabbed Van Zyl’s arm. Van Zyl found it odd for a grown man to grab his arm. Also, while abroad and in hotel rooms, Oscar would be very cautious about who was at his door. He would always have the extra security latches on the door fastened. All of this is pretty silly, in my opinion. I always use the extra security latches on my hotel door and would also probably grab somebody’s arm if I were startled. Granted, I am female, but it’s not the craziest thing in the world to have a physical reaction when startled. (And for the record, shooting 4 shots through a door is not an acceptable physical reaction when startled) Those are pretty basic responses, not what I would consider to be excessively paranoid. The Defense is really reaching here. They next focus on how Van Zyl and Oscar would often meet at Oscar’s house to discuss schedules and contracts. He could never keep Oscar focused for long as he was frequently fidgeting and asking his house assistant (Frank) where the dogs were, if the doors were locked, etc. At restaurants and coffee houses, he always wanted a clear view of the entrance/exit of the establishment. Typically when flying, he would always keep his prosthetics on. There was one instance where he had bad blisters on his stumps and he removed his stumps during the flight. He used a blanket to cover his legs. He fell asleep during the flight and one of his legs fell over in to the aisle. The flight attendant picked up the leg to put it back in place. Oscar became startled and jumped up, grabbed it out of her hands and was trying to avoid anybody seeing that he had prosthetics. My interpretation of this is not that it was a startle. It sounds to me like an insecure man who had the ability to be rude when somebody did something that he didn’t like. I think Van Zyl is just trying to use this example as a poor Oscar gets scared sometimes scenario, but in actuality it sounds like he acted like a jerk towards the flight attendant who was just trying to help him. 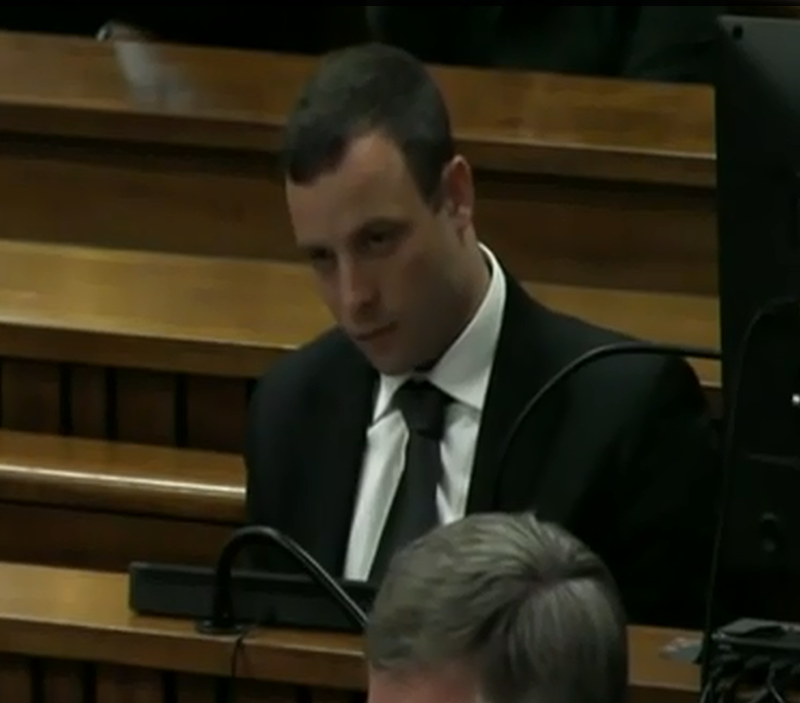 Roux asks how long in total time he spent with Oscar. Van Zyl says that they would be together throughout the whole athletics season (May – August). Their training base was in Italy. They also traveled to competitions and events. Roux wants to know if he displayed any aggression during these times. He can only recall two incidents were Oscar lost his temper. He would not consider it aggression. Van Zyl says that he personally lost his temper more than Oscar did, usually because of abusive questioning from the media. One occasion was when they landed in Barcelona for a competition. As they arrived, a camera crew stuck a camera in his face and called him a cheat because he wanted to compete against able-bodied athletes. Both Oscar and Van Zyl lost their temper in that instance. Next was in London. Oscar had an interview scheduled at the BBC. They were there at the studio and a journalist asked the question, don’t you think you’re an embarrassment to your country for trying to compete at the Olympic games? Again, both lost their temper and were asked to leave the studio. Van Zyl did have the chance to meet Reeva on a number of occasions at different venues. He viewed their relationship as loving and caring. They were always calling each other pet names. Oscar did involve her in his career. 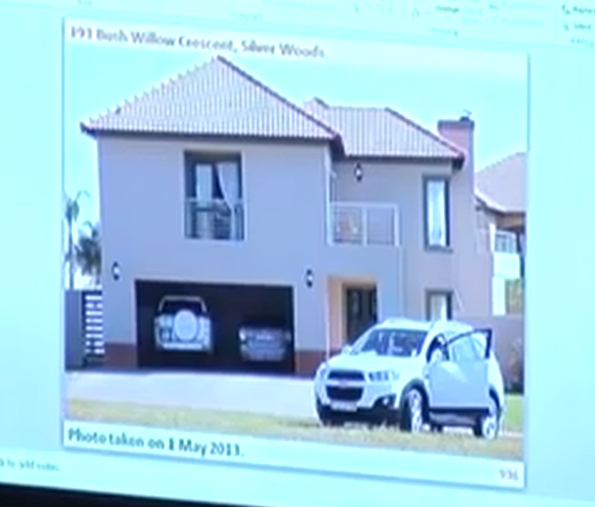 Van Zyl states that he and Oscar had a meeting at Oscar’s house on February 7, 2013. They laid out all of his contracts and calendar for the year on his large dining room table and they were planning his season. They started with a big event in Moscow and then worked backwards from there, looking at specific dates. They identified an event in Brazil on March 31st and another in Manchester on May 25th where he wanted to invite Reeva to come along. He asked Van Zyl to contact the organizers to get permission. Van Zyl states that this is the first time that Oscar has ever asked him for anything like that. He’s never asked in the past for his girlfriends to come on any trips with him. Van Zyl asked Oscar why he wanted to bring her. Oscar’s response was that he wanted Reeva to see what his world was about and the pressure that he was under. He wanted her to see how he needs to perform and also why he sometimes can’t go to functions with her; because he needs to have enough sleep to train and perform at the levels he’s required to perform at. Also, he wanted her to understand that there may be certain events that he cannot go to with her due to his own sponsor commitments. Since his diet was so strict, there were often times that he had to decline going out to restaurants. Well, thanks Peet, for solidifying that Oscar Pistorius is every bit as selfish as Nel has asserted during this trial. Not once did he say that he wanted to bring her with him on these trips because he loved her and wanted to share his time with her. It was all about him needing her to understand HIS life. If you want to read a narrative on how Oscar’s career and contracts may have played a role in the incident on February 14th, I would suggest reading Resurrection and Revelations by Nick van der Leek. He is a photojournalist and editor of the South African Man website who has written some really thought-provoking e-books about the trial, Oscar, Reeva and society in general. There are actually four books in total, with the fifth one coming out this week. You can find them on Amazon. Next, Roux turns in some documents that were provided by Van Zyl. The first is an email between Van Zyl and Andy Cain, who is the meeting director of the Manchester event. This communication took place at 7:29pm on February 13, 2013. The night of the incident, right around the time that Oscar claims he and Reeva were having dinner at the large dining room table and discussing HER contracts. Van Zyl was finalizing the terms and conditions for Oscar competing at this event. The terms that still needed to be clarified were the request for an additional business class flight for Reeva to join Oscar on this trip. Van Zyl states that he wants to add that there was also a contract in place for Oscar to compete in Brazil. He says that Reeva’s ticket for this event had already been secured but he then goes on to say that they had secured tickets for five people in total which would consist of Oscar, Ampie Louw, Van Zyl, the physiotherapist and Reeva. He is trying to make it sound like Reeva agreed to these trips, implying that she was committed to Oscar and wanted to be with him. But it’s possible that he had five tickets for Manchester without any specific names on them just yet. Had Reeva really agreed to go with him and put her own life and career on hold? Maybe she did, maybe she didn’t. We can only speculate. It’s feasible that this was the source of Oscar and Reeva’s issue that night, particularly in light of the fact that Van Zyl was emailing the Manchester director only a few short hours before Oscar killed Reeva. Is that a coincidence? Roux asks Van Zyl what the financial position was of Oscar at that time. Van Zyl responds that due to Oscar’s outstanding performances at the London Olympic and Paralympic games, his profile was raised to global sports icon status. Based on this, he had a number of opportunities to partner with corporations. The financial implications were substantial; five to six times more than what it was prior to the Olympics. He had contracts in place that would run until the end of 2017, when he would announce his retirement from athletics. Some current sponsors were negotiating with him for brand ambassador roles post-retirement as well. The contracts that he had involved significant monetary gain, as well as the opportunity for shares and royalties. Roux asks Van Zyl if Oscar was aware of the bright financial future he had ahead of him and Van Zyl says yes, he was well aware. He is an astute businessman who understood what he was about to gain. Roux then brings up another event that Oscar wanted to share with Reeva; an Andrea Bocelli concert in Tuscany, Italy, on July 13th. Van Zyl was the one who made the suggestion to Oscar to take her to that, and Oscar was excited about the idea. He asked Van Zyl to look in to it. 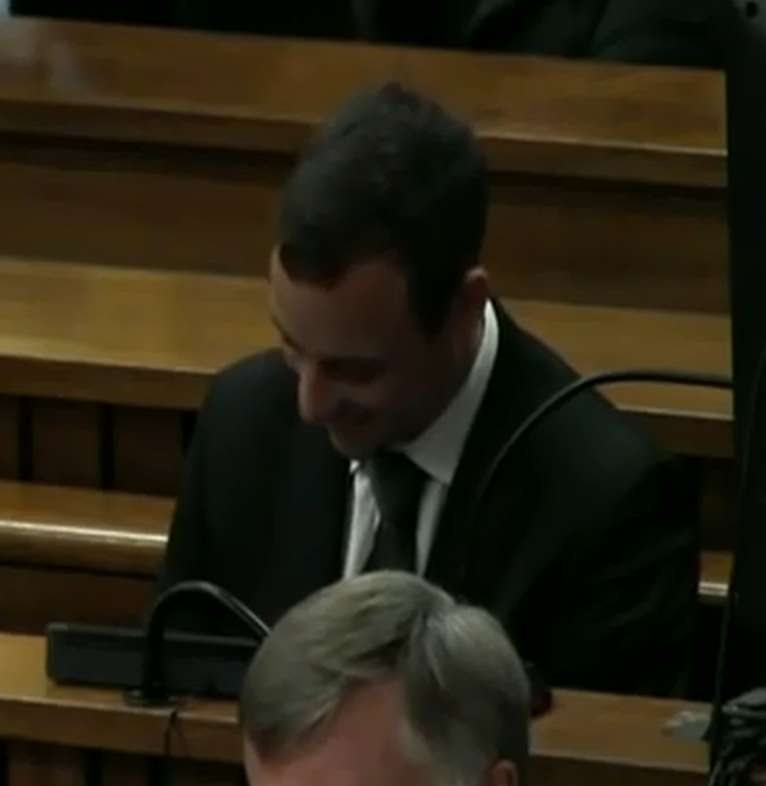 Roux wants to know if Van Zyl ever discussed these plans with Reeva directly and he says yes he did. Oscar phoned Reeva on his iPhone to do a video call, and passed the phone to Van Zyl. Van Zyl told her the good news about Brazil and that he was working on another trip to Manchester. He states that she was excited about the possibility of traveling to these competitions with them. Is it possible that she was being polite at the time but perhaps had a change of heart later? Roux concludes and Nel is up to cross-examine. Nel starts by saying that he was not expecting so much character evidence to be presented today so he needs a little more time to prepare. But he will get in as much as possible for the remainder of the day. 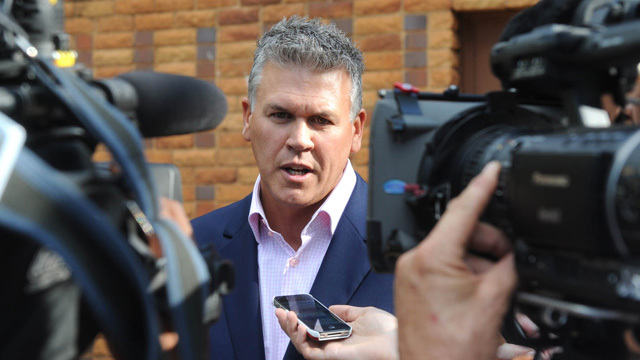 Nel confirms with Van Zyl that one of his main duties is to look after his client. He has to deal with negative media and press as part of his job, as well as look after his well-being in general. Nel wants to address the fact that Oscar drives at high speeds and wants to know how Van Zyl was aware that he was doing that. Van Zyl squirms a little on this but finally states that it was another athlete that used to drive with him who told him about his driving habits. Plus, Van Zyl witnessed this himself when they drove together to the airport. Nel asks him if he ever discussed this habit with Oscar. He says that he did not and Nel wants to know why. Van Zyl says that the time that he drove fast with him, he was not driving recklessly. He had not received complaints per se so he didn’t address it. I understand where Nel is going with this. It is a manager’s duty to make sure their lucrative client is behaving properly and safely, especially in light of the amount of money they stood to gain. He absolutely should have been counseling Oscar about his poor and unsafe behavior. But if in fact he did not, then it’s just a further example of how the people in his life enabled him. Nel next addresses how Van Zyl testified that there were only two times when Oscar lost his temper. He wants to know if Van Zyl forgot about the time when Oscar lost a race and called his competitor a cheat. Van Zyl says he did not forget about that but he was not in London during that time. He is aware of the situation, but didn’t include it in his testimony because he only spoke about times that he witnessed himself. Regardless, Nel wants to know if he addressed this with Oscar. Van Zyl says, yes, there was a PR company that he used while in London for the games. He delegated this situation to them and they handled it. Van Zyl then goes in to an explanation of how this competitor had switched his legs for various events and there was a general feeling amongst the athletes that he was cheating. Oscar took it up with the IPC and requested better guidelines on what is allowed and not allowed. Van Zyl seemingly makes an excuse here saying that the incident was a long time in the making. Sounds like major sour grapes to me. Van Zyl does concede that Oscar lost his temper on that day as well. Nel wants to know if Van Zyl ever met Oscar’s other girlfriends. He states yes, he had met Jenna Edkins and Samantha Taylor. Nel states that they’ll have to make a correction to Van Zyl’s testimony because Oscar did take Samantha overseas with him. Van Zyl says not for competition, it was for a television program. Oscar worked out the details with the production company directly. Van Zyl says the relationship between he and Oscar is one of a professional nature, but he was indeed introduced to these three women as his girlfriends. As to what Oscar does in his private life, he wasn’t always aware of. Personally, I find it highly odd and not really believable that he was supposedly so distanced from Oscar’s personal life. Nel wants to know if he ever discussed any details about his relationship with Samantha Taylor. Van Zyl says no, he did not discuss the relationship with him. It’s always interesting to me when there are difficult topics being discussed, or topics that Oscar is likely lying about; Oscar keeps his head down and won’t make eye contact with anybody. Van Zyl says that all he knew was that Samantha was his girlfriend. Oscar never asked Van Zyl to arrange for her to accompany him on trips or attend events. Nel says there was an incident that he read about where Oscar’s roommate asked to be put in a different room. Does he know anything about this? Van Zyl says that he was made aware of it by the team management. Nel says that the reason the roommate wanted to move out was because Oscar was constantly arguing on the phone and he couldn’t take it anymore, according to what he read. Van Zyl says he can’t comment on that because he wasn’t there. Van Zyl is clearly trying to dodge this question, while Oscar continues to hang his head down, and Nel says to him that he is asking him directly… did he know why this athlete wanted to change rooms. Van Zyl says that if this man made the statement that it was due to Oscar being on the phone, then I guess we’ll have to accept that. Nel tells him that he doesn’t have to accept anything; he just has to answer questions. Let’s try this again… why did the man want to leave the room, based on what he heard? Van Zyl said it was because of problems he had with Oscar. Nel asks, what problems? He answers that he doesn’t have specifics. 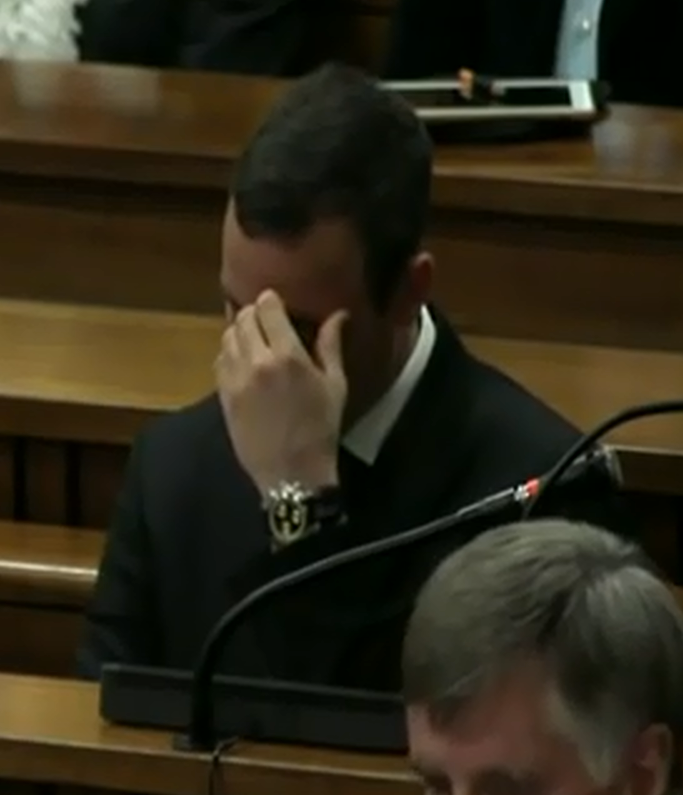 Nel hammers him some more and Van Zyl finally answers that it was because Oscar was on the phone. Nel says, now I’m worried. I specifically asked you this question 3 or 4 questions ago, and you didn’t know, but now you want to give an answer. Oscar is fidgeting pretty well in the dock and passing notes to his team. Nel asks him if it’s difficult for him to say negative things about Oscar. He answers, no. He again tries to explain it away by saying that he wasn’t there at the time and it was dealt with. The only person who contacted him afterwards was Ampie Louw, Oscar’s coach, who informed him that they had moved Oscar to a different room. It was only put to Van Zyl that there were issues with this athlete. Nothing more specific. Nel phrases the question differently; have you heard this version about the athlete being upset because of Oscar being constantly on the phone? He then says no, he has not heard that specific version which actually contradicts what he just said two minutes ago. It’s obvious he’s being evasive. Nel moves on to February 14, 2013. He wants to know if Van Zyl discussed the incident with Oscar. He says he only discussed his condolences with him. He goes on to state that he has not discussed the specifics of the incident at all with him. He has not asked him what happened. How is that possible? He has been his manager and friend for 8 years. I do not find that believable. Nel asks if he is familiar with Oscar’s love for guns. Van Zyl says he only learned of it recently. The first time he ever saw Oscar carrying a gun was in November of 2012. He was not aware that he was taking part in shooting activities at the range. When he did see the gun that time, it was at his residence, and he asked Oscar why he was carrying a gun. Oscar told him it was because he feared for his own safety. Nel wants to know if Van Zyl ever read an article from a British journalist who said that Oscar would go out at night to the range to practice shooting if he couldn’t sleep. Van Zyl says that he did read this article. Nel wants to know if he discussed this with Oscar. Van Zyl said he didn’t. Nel asks him if the article was positive or negative. Van Zyl says he didn’t see it as negative. 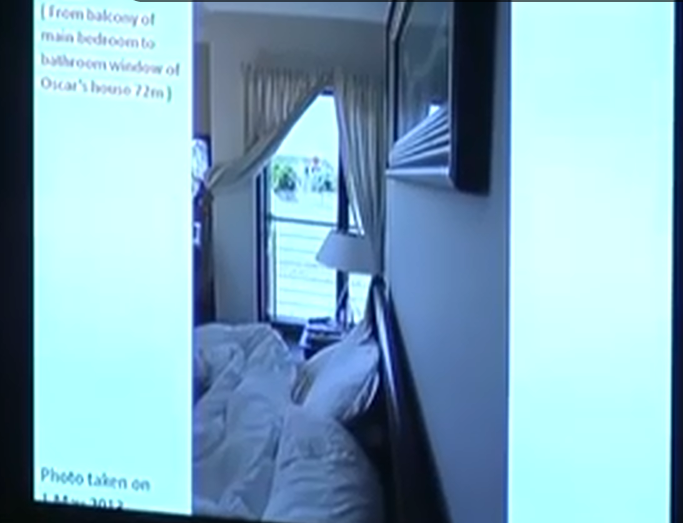 Nel points out that in that same article is a picture of the 9mm in Oscar’s bedroom. Nel wants to know if Van Zyl believed that Oscar was paranoid. He cannot call it paranoia or vigilance; he doesn’t feel qualified to make that judgement. Nel says he’s jumping around a bit, but will be better prepared tomorrow. 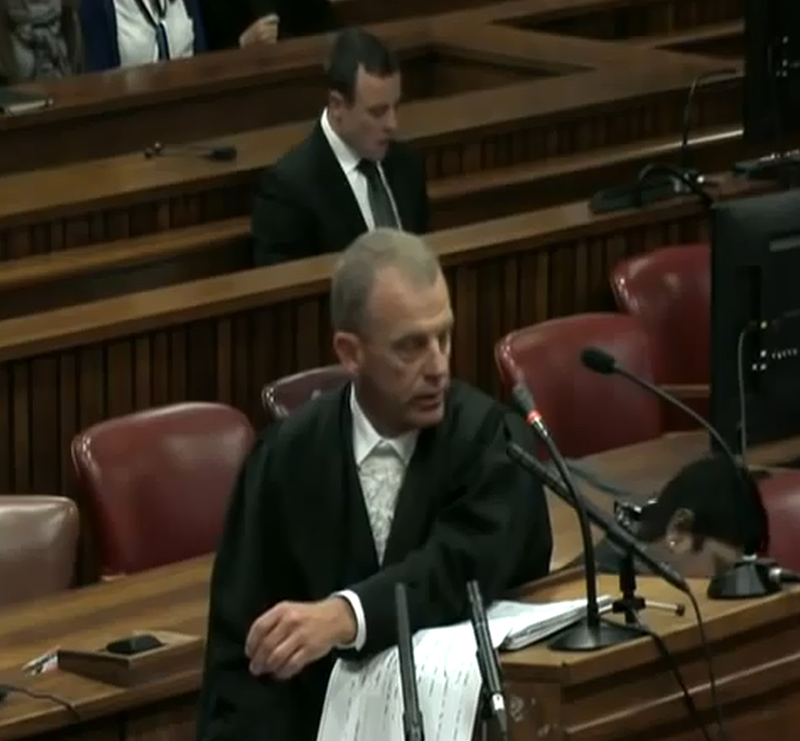 He moves on to Samantha Taylor and wants to know if Van Zyl was aware that he didn’t treat her very well. Van Zyl says that he never experienced him treating her badly. Oscar was always kind and courteous. And furthermore, he’s never seen Oscar treat any other person in an aggressive or undignified way. Nel says he has carefully noted Oscar’s calculated reasons for wanting to take Reeva to Manchester. He points out how it is all about Oscar. Oscar got a good laugh out of that. Van Zyl felt it was really a case of Oscar wanting to show his girlfriend what the world of a professional athlete is about. He goes on to say that most of his other top athletes do the same thing. Nel asks Van Zyl about Oscar wanting to take Samantha to the Olympics with him. He answers that he was never asked at any stage about taking her specifically. There were friends and family members that he did organize tickets for but not for Samantha. 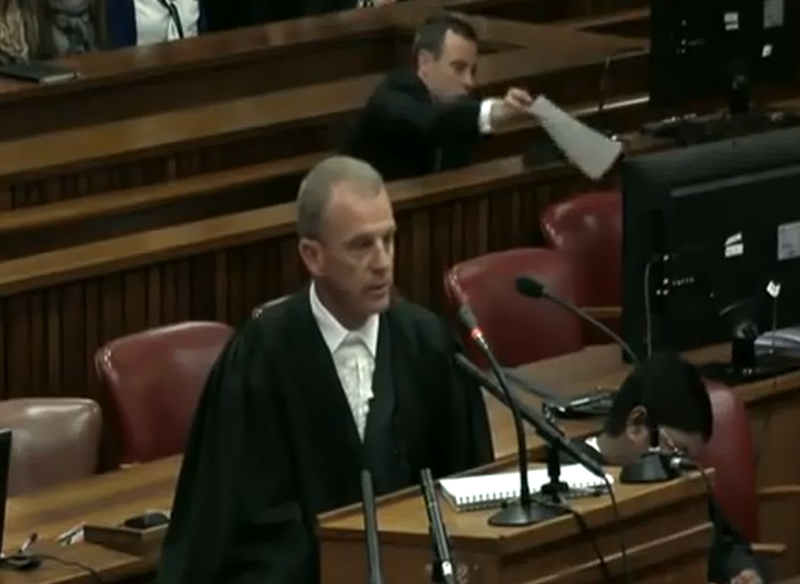 Nel asks for an early adjournment and the Judge grants it so he can prepare for further cross-examination tomorrow. After the completion of trial today, Arnu Fourie, the athlete in London who requested to move rooms, posted a tweet explaining why he made that request. This account does not match up with what he originally told to the reporter at the time. We know that Van Zyl testified today that there were issues, but those issues are not mentioned anywhere in Arnu’s statement. Is Arnu telling the truth or not? The defence is seriously fooling themselves if they think Masipa and the advocates cant see how desperate they have become. If Linn is the “expert” that Roux and OP warned us would testify and prove their version, then why was he only on the case a WEEK before his testimony? Who the hell were they referring to? At the end of the day, Linn added nothing, how could he? The landscape had totally changed and all of his “findings” were basically educated guesses. It`s a pity you had to write his testimony out, Lisa, as I`m pretty sure it`ll be thrown out as totally irrelevant and hopelessly biased. Was he really asking the court to believe that when his biggest client shots his girlfriend dead, he NEVER asked him what happened?…..REALLY!?! He can specifically remember ordering tickets for Reeva and none of OP`s other girlfriends, not even after it`s proved that he did! The SA Olympic committee go out of their way to highlight a problem with OP and another athlete, but he didn’t clarify what the problem was?? He didn’t know until December 2012 that OP even carried a gun??!?! WTF? Well, apparently the defence had Masipa and her assessors spot on. If there’s an award for the most pointless witness, it’s a tie among the entire state’s line-up. Claim About Driving Excessively Fast To Avoid Being Followed. 1/ It completely contradicts OP’s fictional story of being shot at by “THE PERSON” driving and shooting from a Black Mercedes on the motorway. If OP drove so fast he should not have been overtaken in the first place and secondary he should have sped away over a long distance rather than just a short drive and parking up. 2/ It contradicts the account Samantha Taylor recalled of OP getting out his car and threatening to shoot the occupants of another car. Why did he not speed up or divert on that occasion? The claim appears to be untrue and just used to pass off dangerous driving as being acceptable. Pretty much everyone is calling this the same way. OP hanged himself, despite the witnesses the KEY question is intent, defence was poor and unfocused, Nel was clever and thorough. Out of curiosity, does anyone have a link to any experts who think he`ll walk? Experts who think he’ll walk? Not an expert exactly, but some months ago, a seemingly credible source said that Pistorius uncle “bought” the trial, that Oscar would get a non-custodial sentence with a lifetime ban on owning guns. I personally couldn’t see how it could be less than dolus eventualis and didn’t give much credence, but hey! the source’s claim is coming true. Let’s see what the sentence is. It could now be that there is too much controversy about Masipa; imo there would be an explosion if non-custodial sentence. Perhaps that is why the defense didn’t bother engaging experts before the trail started, didn’t carry out tests in advance of the trial and why those experts didn’t bother taking notes or keeping records or even recreate an approximation of the sound conditions of that night. They must have known that whatever fairy stories were shoehorned into the Accused’s version Judge Masipa would rule in their favour.